This is a drive seeking redemption. 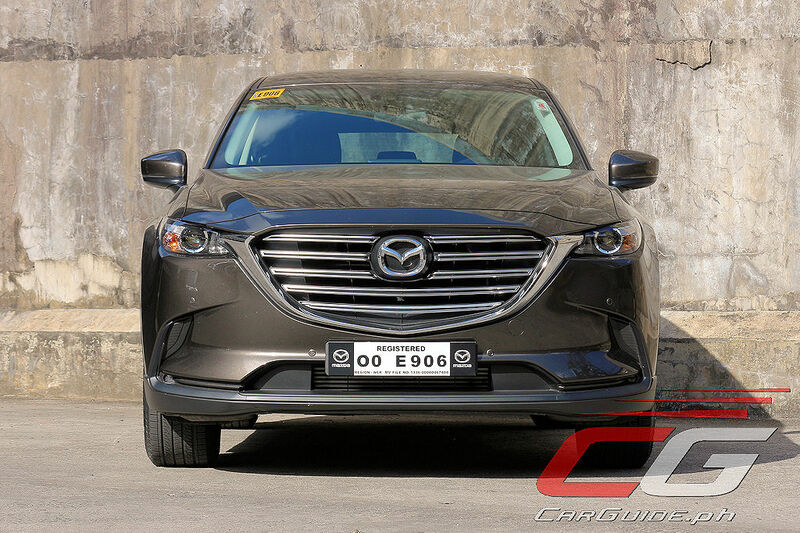 The last time I had the CX-9, the experience wasn’t as smooth sailing as I’d hope. 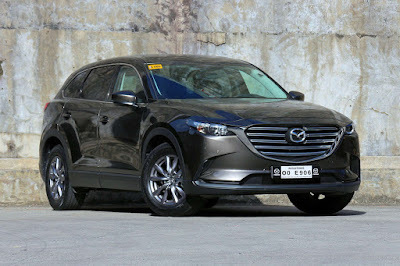 Mazda’s beautiful 7-seater SUV was marred by its fancy Skyactiv-G Turbo as its temperature rose on the way up to Baguio. 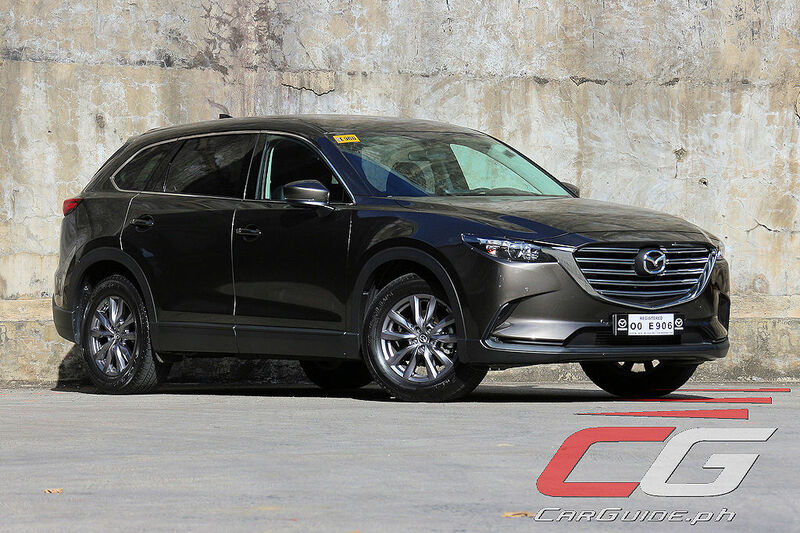 Now, almost a year after (and some technical explanation as to what happened), can the entry-level CX-9 vindicate its fancier AWD Touring (now Signature) sibling? Priced P 570,000 less than the CX-9 AWD Signature, the CX-9 FWD Touring is, for all intents and purposes, actually better of the two. 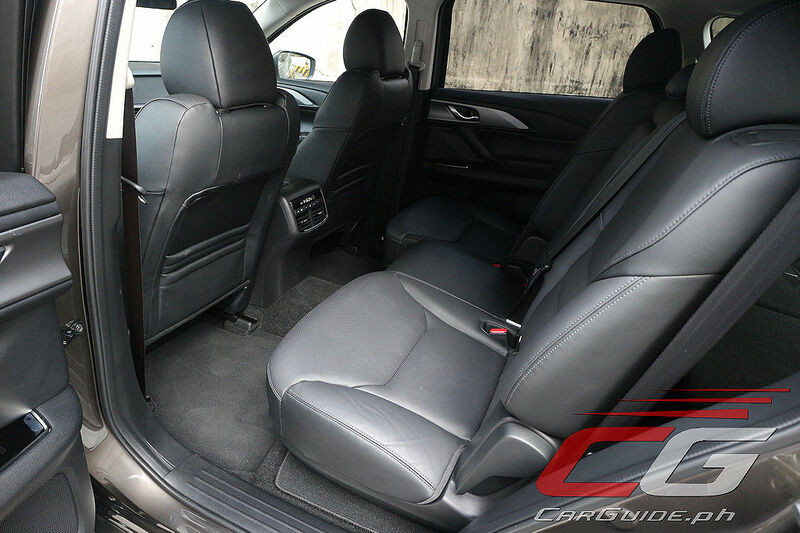 If you want to enjoy more luxury and can spend the additional cash, by all means go for the range-topper, but if you can’t, this FWD Touring is just as solid. For one, it still looks great. 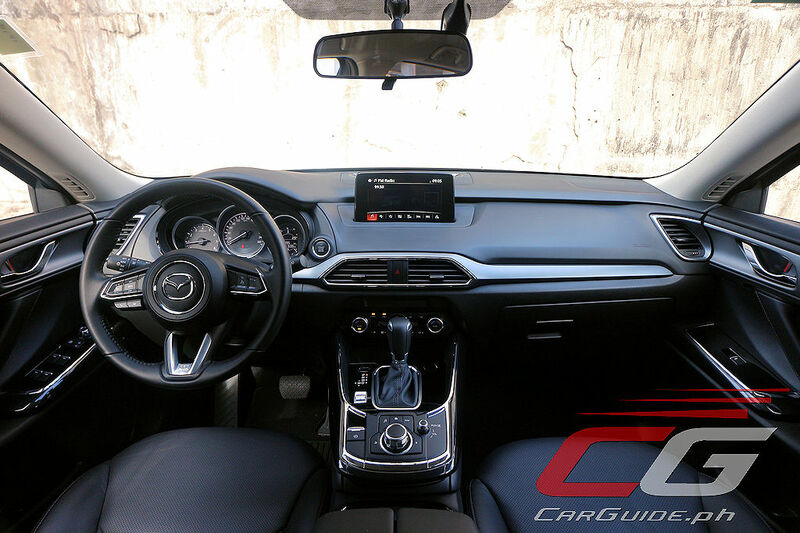 Typically, “entry-level” and “luxury” don’t mix, but in the case of the CX-9, it does. 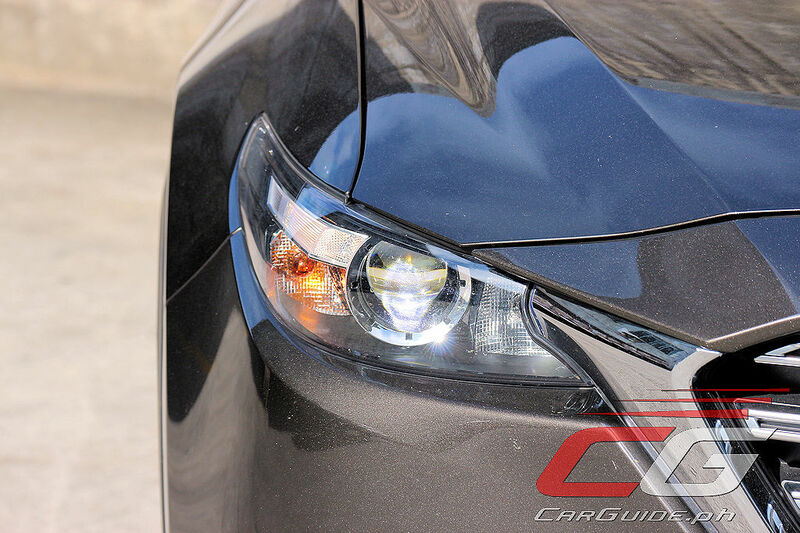 The secret here is that Mazda opted to keep the visible differentiation to a minimal—just the smaller rims (18s from 20s) and the daytime running lights (halogen from LED). 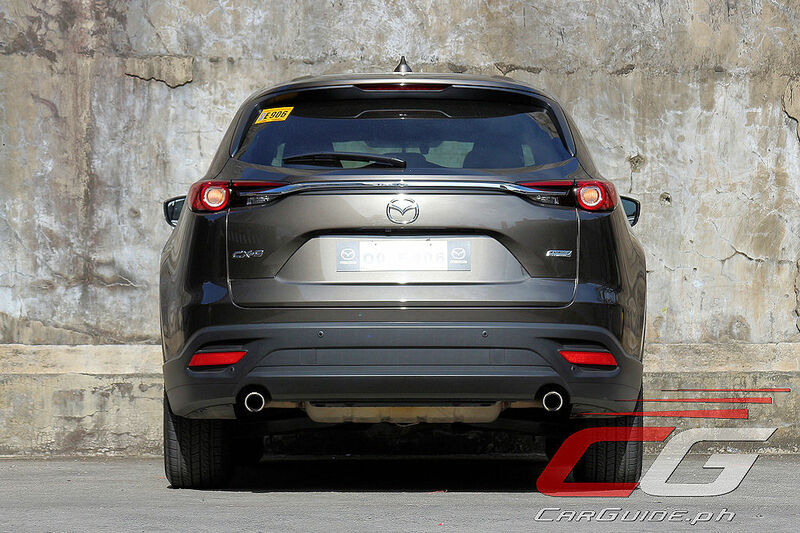 Thus, whether it’s the front- or all-wheel drive variant, it has the same full-flavored KODO design we’ve all come to love and appreciate. Furthermore, it still exudes a strong air of luxury and elegance. The same genuine feeling of elegance continues once you step inside. This is a product of meticulous attention to detail. 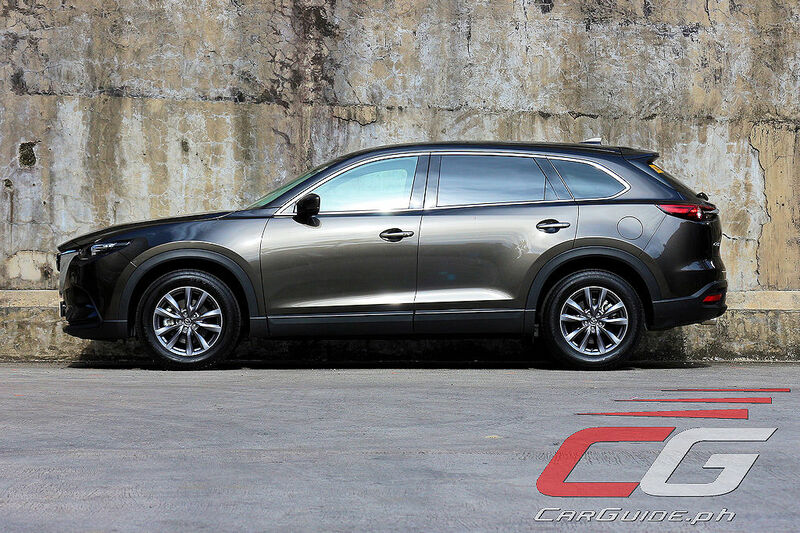 From the consistently tight panel gaps to the soft plastics to the supple leather to the well-damped controls, the CX-9 feels like it shouldn’t be competing in this price range; it should be worth a whole lot more. Of course, Mazda had to make some compromises to keep the FWD Touring’s price down and this is when you have to decide whether coughing up or saving the price difference is worth it. 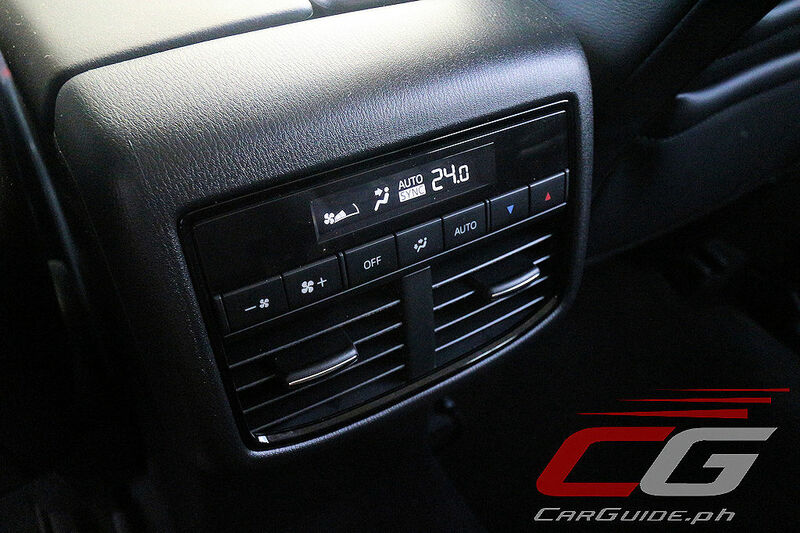 Compared to the recently re-equipped AWD Signature, the Touring loses the power tailgate, Bose sound system, Nappa leather interior with ventilated front seats, sunroof, heads-up display, fancy instrument cluster, auto dimming rear view mirror, rear sunshades, lane departure warning, and blind spot monitoring. Now, for some buyers losing a couple or even just one of the aforementioned features can be a deal-breaker. Fair enough. 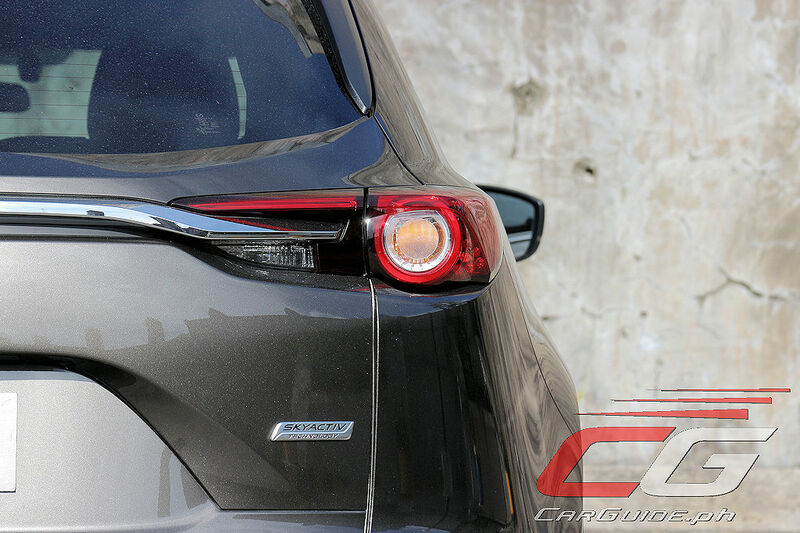 But if you consider these niceties trivial, then the CX-9 Touring is for you. 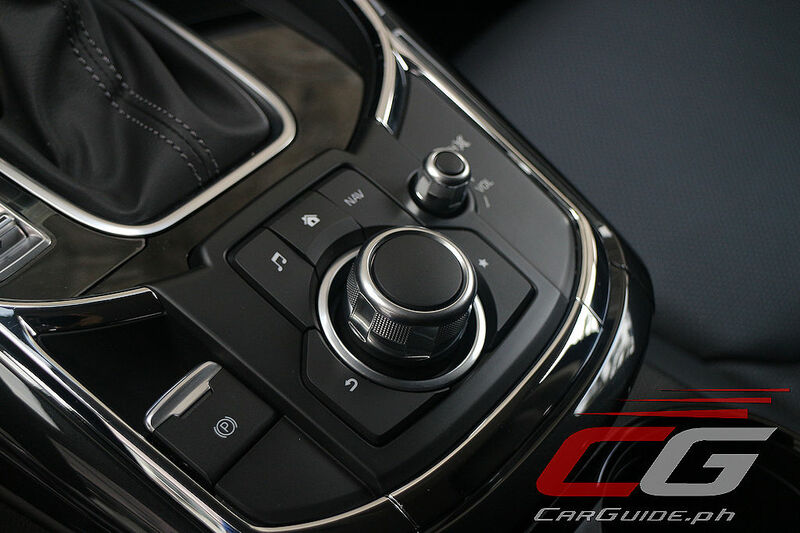 As with any other Mazda, the CX-9’s ergonomics are (almost) perfect. 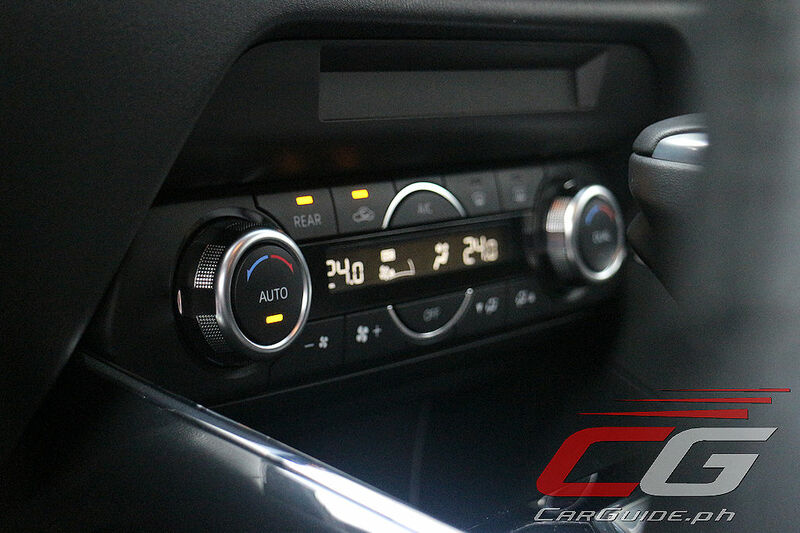 The steering wheel, seats, controls, and such are all well-marked and placed. 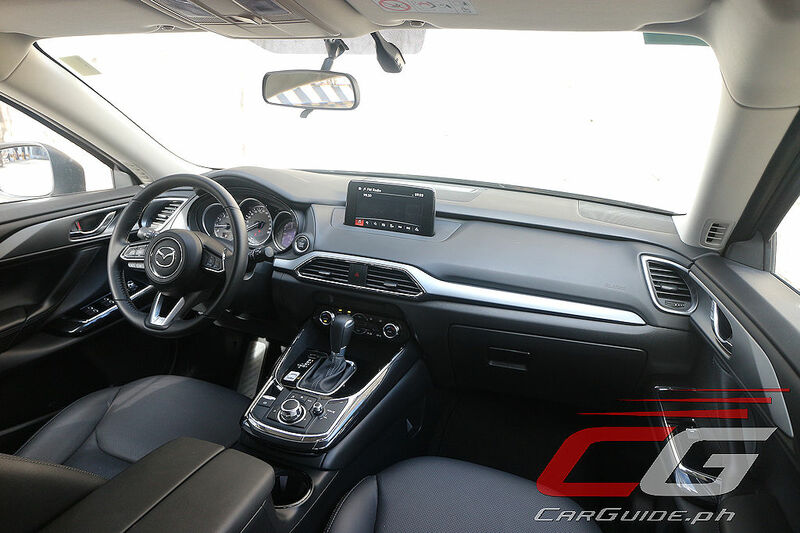 The driving position is more car-like than SUV and this can be off-putting for some, but the visibility is still pretty good with a commanding view of traffic in all directions. It’s supplemented further by front and rear proximity sensors. 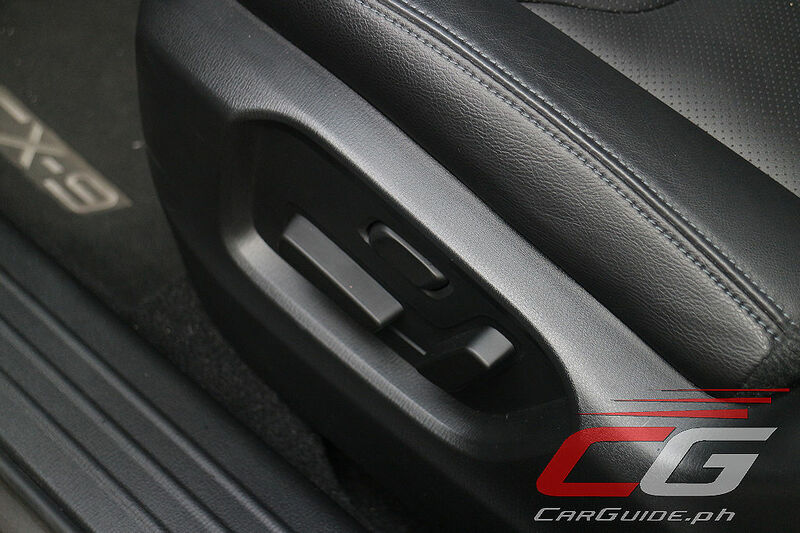 The single blemish is the high-set center armrest which can bang elbows during turns. The only way to avoid this? Tuck your arms as close to the chest as possible during maneuvering. With the sunroof removed, this FWD Touring has marginally better headroom across all three rows. The second row, in particular, feels more accommodating with wonderfully supportive seats and its own climate zone with vents. The third row may not be as cushy, but the added headroom makes it more habitable despite the knees-up affair. Getting in and out from there remains a challenge still because there aren’t any grab handles to speak of. 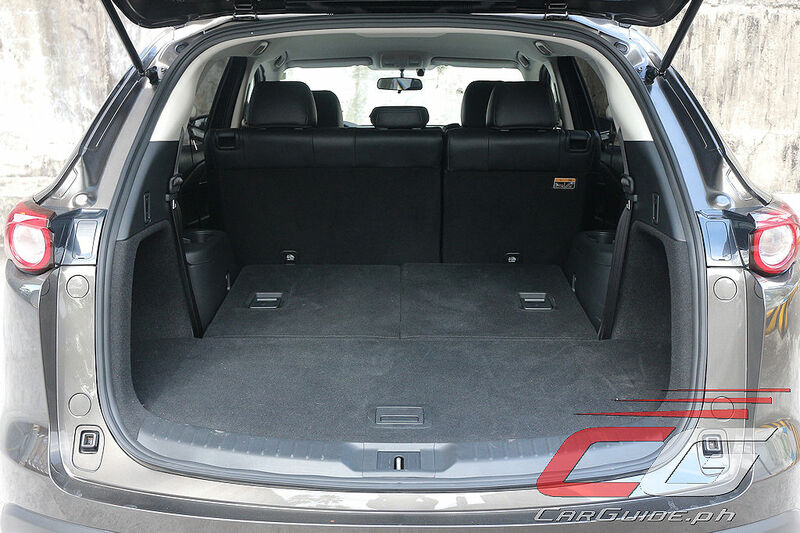 Now, while this sunroof-less CX-9 is now made better for people, the cargo hold remains its Achilles’ Heel. 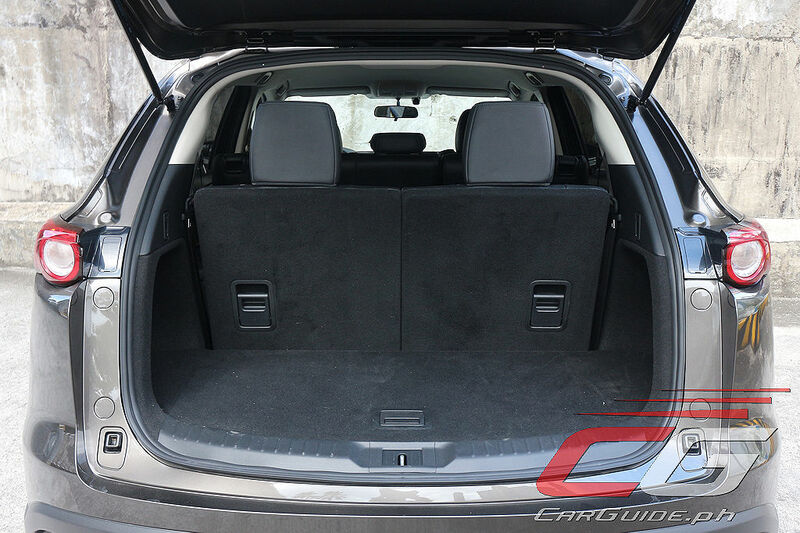 The tapering roofline and high floor means it’ll struggle to fit bulky luggage even with the third-row stowed. 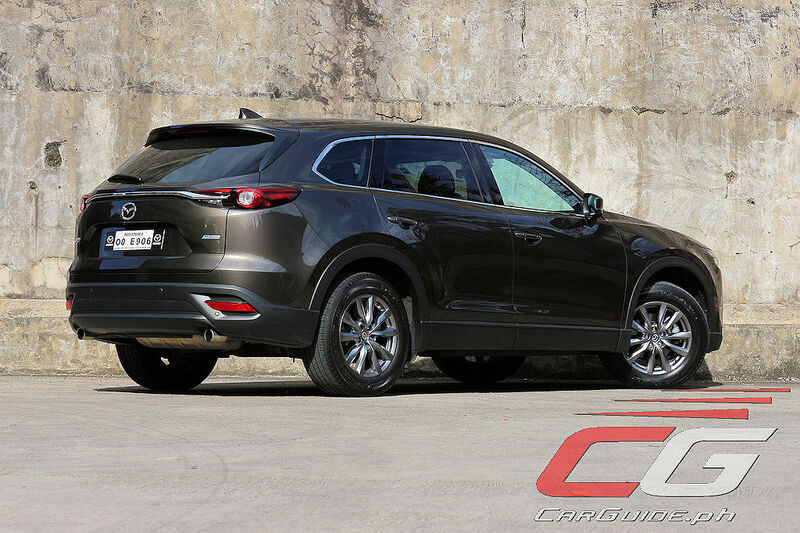 Limiting the CX-9 may be when it comes to swallowing cargo, but makes up for it when its impressive road manners. Despite just an 85-kilogram difference to the AWD Signature, the FWD Touring feels noticeably spritelier. 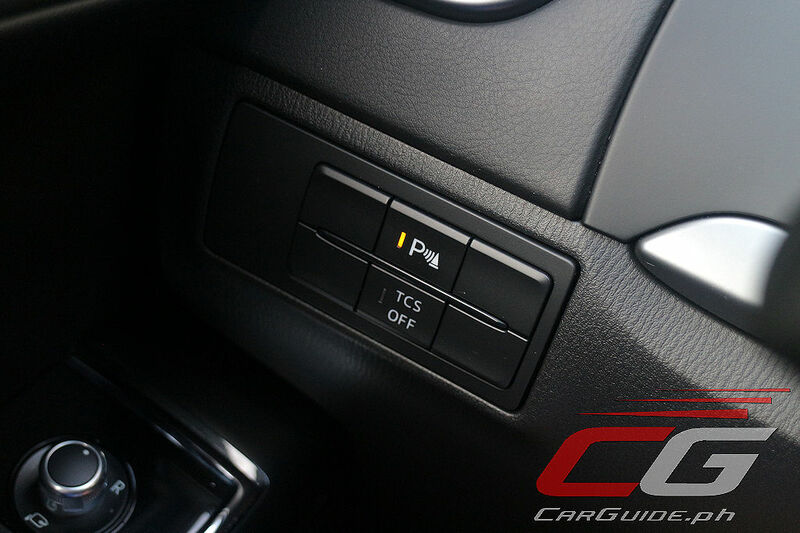 With power not having to route and divide itself between the front and rear wheels, tap the accelerator and the reactions are quicker and more unadulterated. 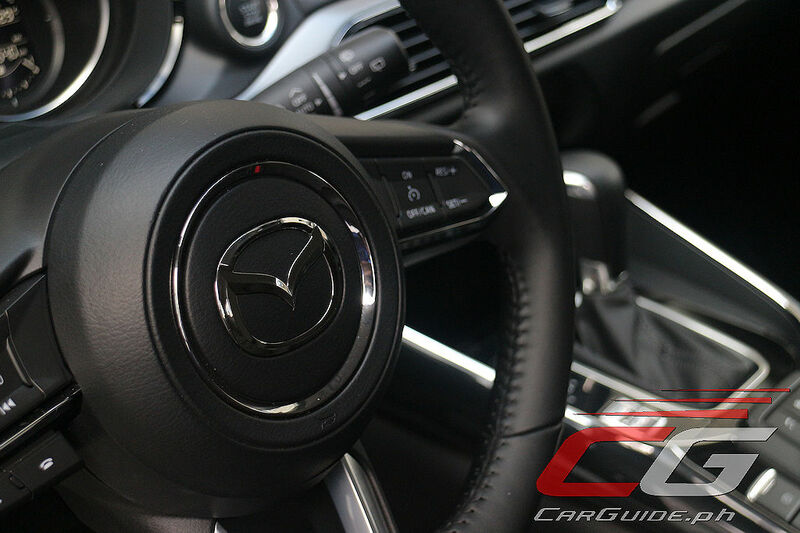 With the Skyactiv-G Turbo’s peak torque coming in at just 2,000 rpm, the response from this 1,844-kilogram crossover is immediate. This makes it surprisingly fun to carve through city traffic. It doesn’t suffer from turbo lag too; plus, it’s smooth, refined and quiet—qualities all befitting its premium positioning. Oddly enough, the removal of the all-wheel drive hasn’t improved the fuel economy, at least in the city. 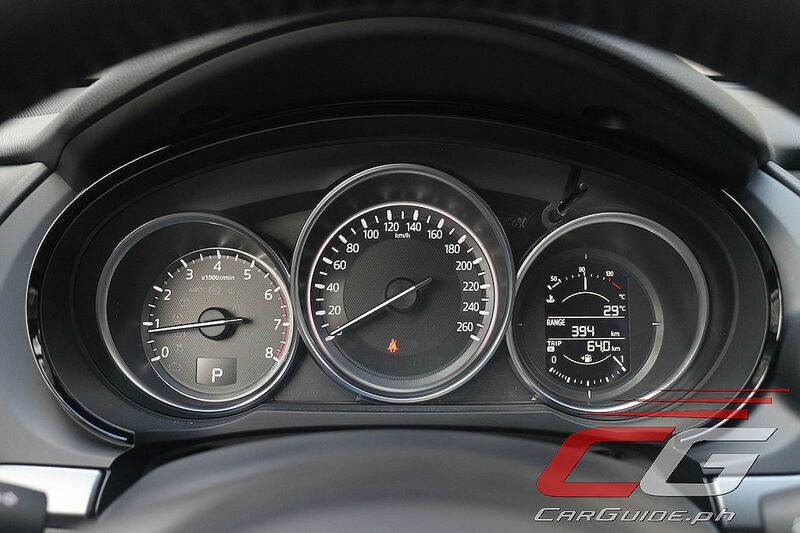 It continued to hover at 5.55 km/L, close to the AWD’s 5.21 km/L. Thankfully, it does marginally better on the highway—going up to 12.73 km/L to the AWD’s 11.65 km/L. Previously, I suffered a problem with this engine, where the temperatures rose to uncomfortable levels (it didn’t overheat though) when I pushed it going up Baguio. Retracing the same driving route, no problems happened this time. According to Mazda’s technicians, it had to do with dirty fuel and true enough, the same problem (not the temperature rise, but lack of power) came back to haunt me using another turbocharged car on the same brand of fuel. 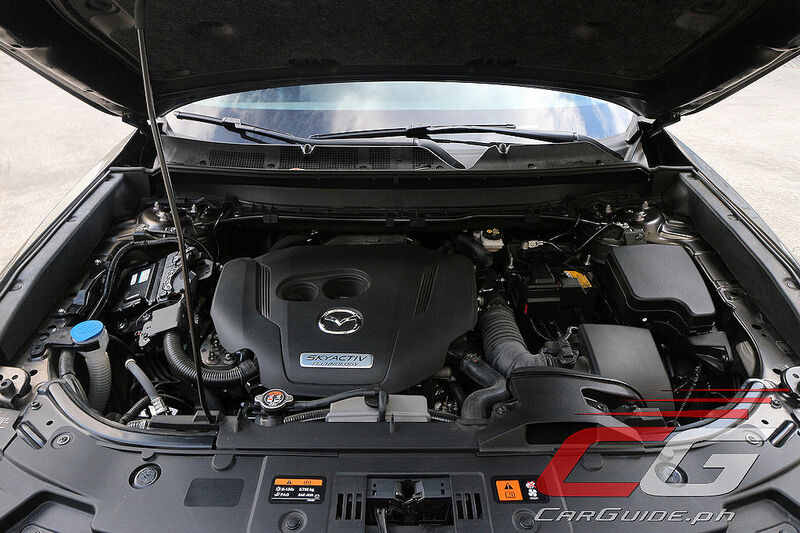 Oh, and before you ask what fuel brand this is, Mazda says they’ve tested it once more and has now passed the requirements of the Skyactiv-G Turbo. 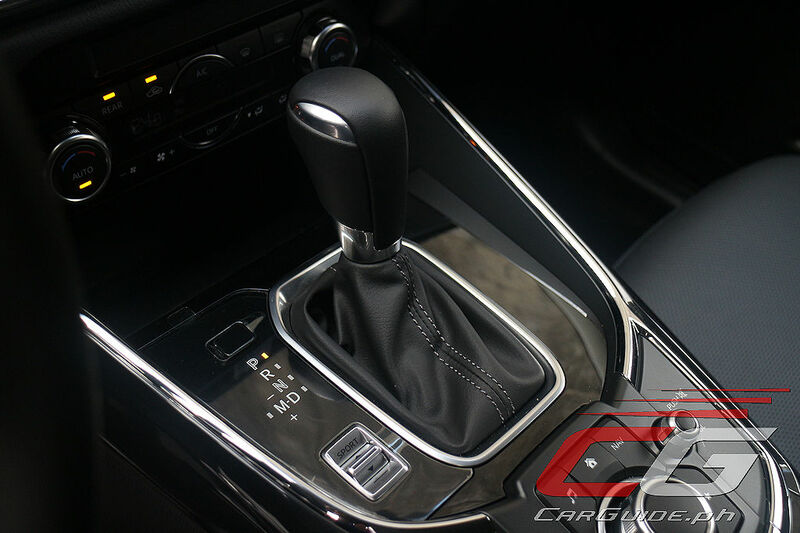 Moving on, the rest of the CX-9 FWD experience is largely similar to the AWD. The steering is light and accurate, while the chassis is well-balanced. 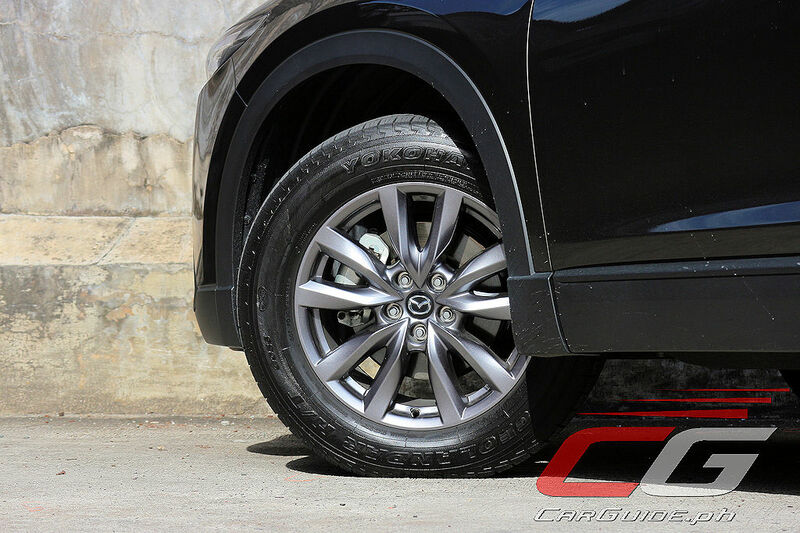 With 60-series tires, the ride is suppler, perhaps at the expense of some precision, but on both accounts, it’s still better than any other three-row SUV or crossover. 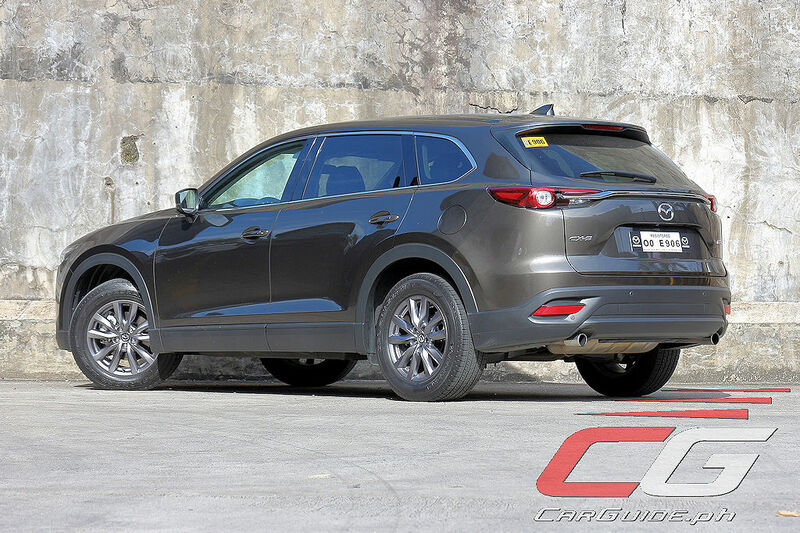 It’s also quiet and refined at any speed too, but this time around, there’s a bit more tire coarseness thanks to Mazda’s decision to install all-terrain Yokohama Geolandars. 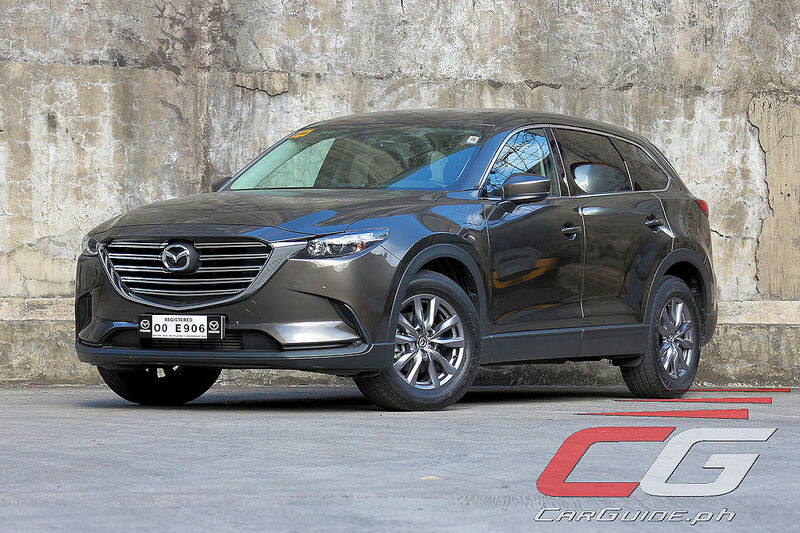 Apart from vindicating itself from the problem I suffered with the AWD version, the CX-9 FWD Touring presents itself as an interesting case. 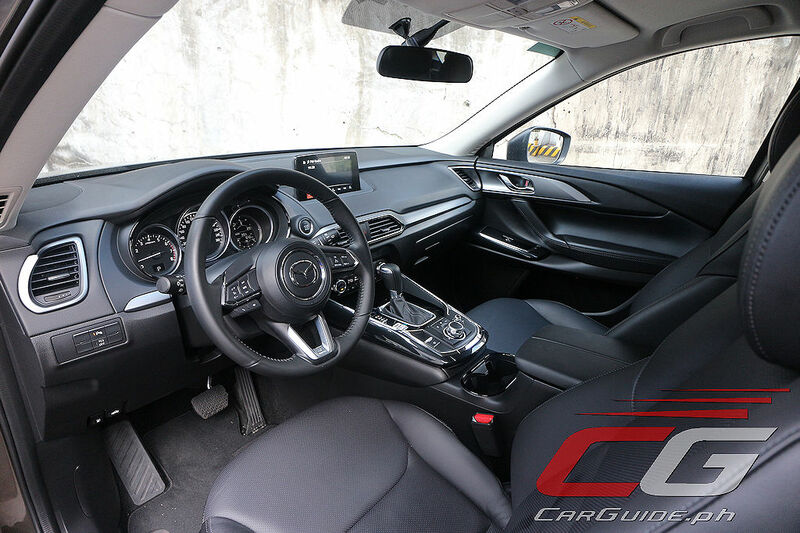 With its P 2.380-million price tag, it’s within striking distance of range-topping pickup-based passenger vehicles (PPVs) such as the Fortuner (P 2.245-million) and Everest (P 2.288-million). So now, you can actually choose between a crude, but all-terrain capable body-on-frame SUV or a refined, but front-drive only crossover. 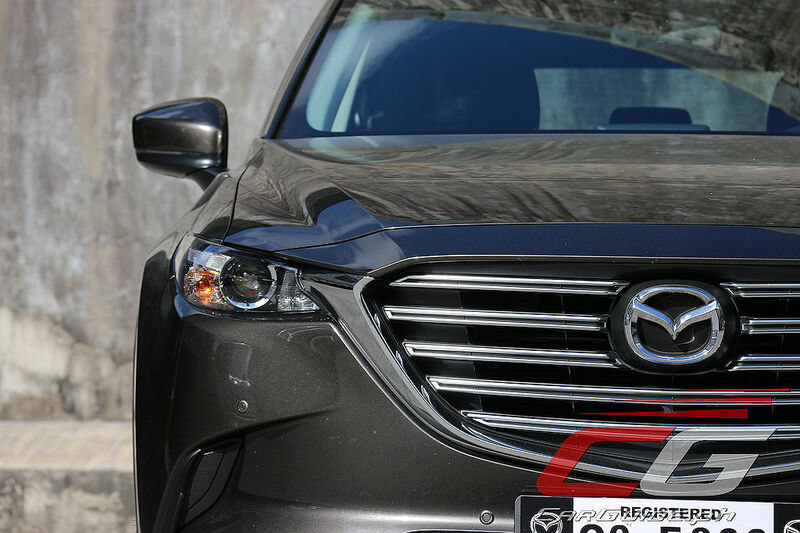 Life is full of hard choices, so let me make it easier for you: get the CX-9. PPVs will certainly try to mask their utilitarian origins by putting in leather or adding an accessory or two, but poke around hard enough and something is bound to disappoint. This isn’t the case with the CX-9 FWD Touring. It may give up some of the luxuries found in the top-of-the-line AWD Signature, but because it’s built on foundations which highlight luxury and refinement, it remains not just a joy to drive, but a joy to be driven in. Thanks for confirming that it was indeed the fuel that caused the issue in the AWD review. Any clues about the fuel brand? I always noticed everytime motoring journalists in general, make comparisons between SUVs, they usually dont include subaru outback. Why is it?